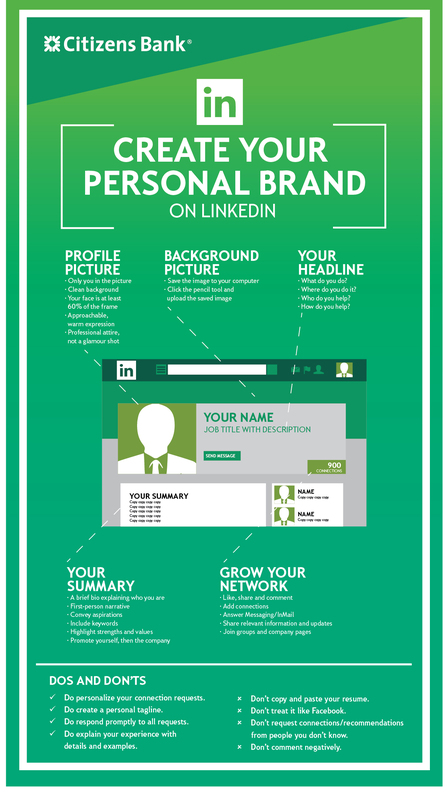 Create your personal brand with these LinkedIn profile tips. How to tell your story on LinkedIn. Below we share tips and best practices for developing a LinkedIn profile that will showcase your professional strengths, experiences and career aspirations - a key tool to help you land your next dream job and career move! Click here to view a pdf of how to "Create Your Personal Brand on LinkedIn".